NCT did well with their various debuts, but it seems like they’ve really stepped up their game this year. “Limitless” was awesome, and I’m really liking “My First and Last.” While I’m fairly concerned about how much rest Mark and Haechan got these past few months, I think that this is a really great comeback for NCT Dream. “My First and Last” is really appealing because it’s fun and it has a very nostalgic quality to it. If you want to know more about what I look at in my reviews, click here. *WARNING! * This review assumes the reader has already heard the song and/or watched the music video. This song is genuinely a feel-good bop. It has a catchy tune with sweet vocals, and it’s an automatic mood booster. I can’t listen to it without smiling and tapping my foot along to the rhythm. It’s upbeat and it suits the boys’ higher voices perfectly. While it sounds youthful and fresh, the strong bassline and energetic percussion keep it from being too saccharine like in “Chewing Gum.” Mark’s rapping plus Jeno and Jisung singing the bridge in a lower tone also help balance things out. What I really like about “My First and Last” is that it’s pretty accessible and that it appeals to a wider demographic than “Chewing Gum” did. With “Chewing Gum,” I was painfully aware that the song was not intended for people in their mid-twenties. It just sounded very childish to me, and as objective as I tried to be I couldn’t enjoy them. “My First and Last” manages to be youthful and fun without that kiddie vibe. As you can guess from the title, this song is about falling in love for the first time and hoping it will be the last (or more accurately, the one and only). These boys are young, and they’re at the stage where they’re starting to experience romance for the first time. Their youth and innocence is so obvious, especially when they sing lines like “I don’t know what a drunken feeling is, but I think I’m drunk on you.” As someone much older than them, it’s really kind of adorable. It almost makes you wish they wouldn’t grow up and change. For something so happy and positive, I was really surprised at how emotional I got once I looked at the lyrics. I know 26 is really not that old, but I’ve definitely been through a lot compared to when I was a teenager – especially in terms of romance. The jaded part of me that’s been around the block sees this as a hopelessly naive way of thinking. For most people (like me), that bubble will burst. But when I hear lines like “The words written in the book are happening,” I think about when I was in high school. And I realize that what they’re singing is exactly how I felt about love back then, when I thought that romance was just like in fiction. Generally when I look at translations of lyrics, they can be a little abstract – even taking the language barrier into account. It’s nice that everything here is very straightforward. However, just because the lyrics are simple doesn’t mean that they lack impact. My favorite part is the bridge: “Even if I look left, right, back and forth there’s just no exit / You don’t have one / Even if I go back to the past and find the exit, I can’t find my way back / I’m trapped in you.” The lyrics might not be super deep, but they are emotional. Normally I don’t put much stock in lyrics, but in this case it adds another layer to the song as a whole. Haechan and Mark get the most lines here, which doesn’t surprise me since they have more exposure as NCT 127 members. Seeing that they have more than half the song between them does make me realize that they have probably been working nonstop these past few months. But they really get to shine as main vocal and main rapper here. Chenle and Renjun also have a significant amount of lines, and according to this video Jeno and Jisung mostly sing during the bridge. However, some of the camera work in the music videos indicates that it might be possible that they’re actually leading the choruses. In any case, both of them – especially Jisung – have a lot of dance parts, so their lack of lines evens out. I absolutely love this choreography because it has almost everything that you could ask for. I think that SM is very good at making dancing machines, and NCT Dream is no exception. This is a very difficult routine with a lot going on, and all of them execute it perfectly. Jisung especially has his work cut out for him as the main dancer, and he steps up to the task. His popping is basically flawless. What’s really great about this performance is that it’s balanced. There are a lot of complicated elements, which are kind of the norm for boy groups these days. But there are also a lot of easy moves, especially in the key choreography. Like the lyrics, these moves are simple but meaningful. They paint a picture of those warm fuzzy feelings that come with falling for someone. It adds to their performance and makes it more than cool choreography. I think that the overall progression of the routine flows well. The more complicated moves are during the verses, and they simplify the chorus. It’s filled with energy, and it fits the beat of the mood of the song very nicely. Plus I’m always down for a dance that includes a Naruto run. I honestly had to give full marks for everything performance related, because the choreography and the formations are really something else. There are a lot of intricate sequences, with waves and detailed hand movements. You can tell that it requires a lot of practice and a lot of teamwork. There’s definitely a lot going on, but it’s spread out throughout the dance so it doesn’t feel too overwhelming. Jisung is clearly the main dancer of the group, and he has a lot of parts. Although he does center the second chorus, most of his work are small individual solos. He’s so small, but he does captures a lot of attention! Jeno and Mark are technically the other centers, but all of the members have a good amount of exposure. They all have their own individual parts, but there’s still a lot of emphasis on the group as a whole. Like a lot of other elements, it’s even and well-balanced. This music video plays on a classic trope. The boys all collectively develop a crush on their young and pretty teacher. Although she doesn’t display any interest in them (or anything in general really), they really want to impress her and grab her attention. When they see a magazine she left behind, they deduce that she likes cars and having one will make them appear more grown-up. So they adorably build their own cars out of cardboard. While it does elicit a small smile from her, ultimately their dreams are crushed when they find out that she has both a husband and a baby on the way. As fun as the music video is, I don’t like it as much as the song or the dance. I just can’t really relate to it because I never had a crush on any of my teachers. And I’m probably about the same age as the actress playing the teacher, so I find it just a wee bit awkward. However, the music video isn’t just about the story. It also features plenty of fun moments between the members. There are a lot of times where they’re just goofing off and being teenagers, and you can’t help but smile at how adorable they are. I’d probably love it more if I was the same age as them, but it’s undeniably cute. And it’s more coherent than most SM music videos, so that’s something. STYLING: Like “Chewing Gum,” the boy have a very colorful aesthetic. The bright and bold colors provide a nice contrast to the neutral high school setting. I tend to like things that are colorful and stand out, so it definitely appeals to me. And since the teacher is dressed in black and white, it makes them look even more young and hopeless (and it makes her look even more out of their league). I also like the synchronized outfits that they use for their performances. They’re probably supposed to be dressed-up school uniforms, but they kind of make the boys look like they’re in a marching band. The one downside of the clothing is that they do look very young. I know that they’re teenagers, but they all look more like middle schoolers to me. CONCLUSION: “My First and Last” is a really solid comeback for NCT Dream. It’s strong on all fronts – the song is catchy, the performance is interesting, and the music video is fun. It also shows their youthful and bright image without making them too childish…or at least not as much as “Chewing Gum.” I gave it a really high score because it was well done and it really adhered to a concept that fits the group. It’s a great example of music being simple yet effective. Plus, what they’re singing about is super relatable for anyone. I will be completely honest: I really did not expect to like this song. I tried hard with “Chewing Gum,” but I thought that the age gap was too big for me to really get into NCT Dream. This actually is still true for the most part, but I really loved “My First and My Last.” It perfectly captures that feeling of falling so hard for a crush and thinking that it’s the only thing that matters. I know that most teenagers generally aren’t as innocent as the media makes them out to be, but I really was a super naive teenager. I don’t relate to the music video itself, but I do relate to the feelings the boys’ characters are experiencing. I’m very happy to be where I am now in my life romantically, but I do miss those days when I hadn’t gone through any difficult relationships. It was so much easier to be a hopeless romantic, and this song takes me right back. It’s just so optimistic and hopeful. In all likelihood, NCT Dream is probably going to be a pretty successful group. 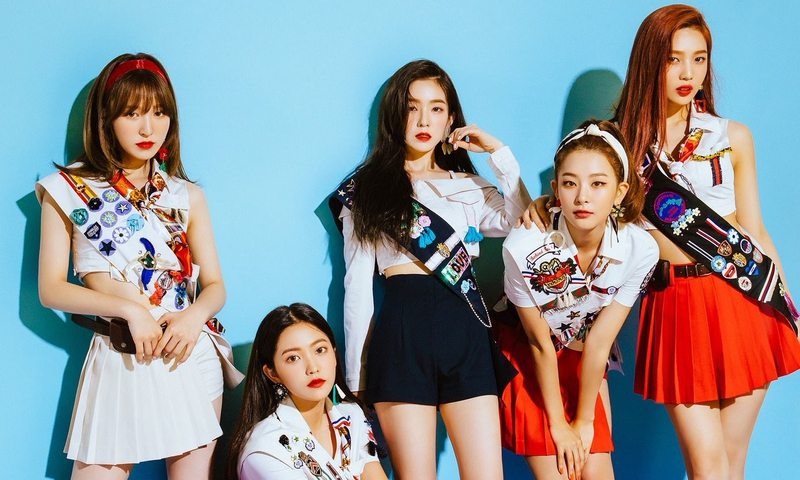 There are a lot of reasons for that, and a major one is that they’re going to get plenty of attention from teenage girls – the biggest demographic in K-Pop. They don’t really need to be accessible for all ages. But I hope that going forward they will continue to do what they’ve done here: make music about experiences that appeal to people who have been there as well as people who are just now going through it.